The Trip Barker Android App is now available for Download at the Google Play Store! Trip Barker is a community-based Trip Planner for Mass Transit Systems. Users can report and share weather, traffic, and events in real-time with other users. Currently available for Metro Manila, Philippines Only. The app is currently on Open Alpha. Please report any issues, bugs, or feature requests to info@tripbarker.com. Trip/Transit Planning for Metro Manila. – Just type in your origin and destination and Trip Barker will recommend one or more routes for you to get to your destination using Mass Transit and Public Utility Vehicles. 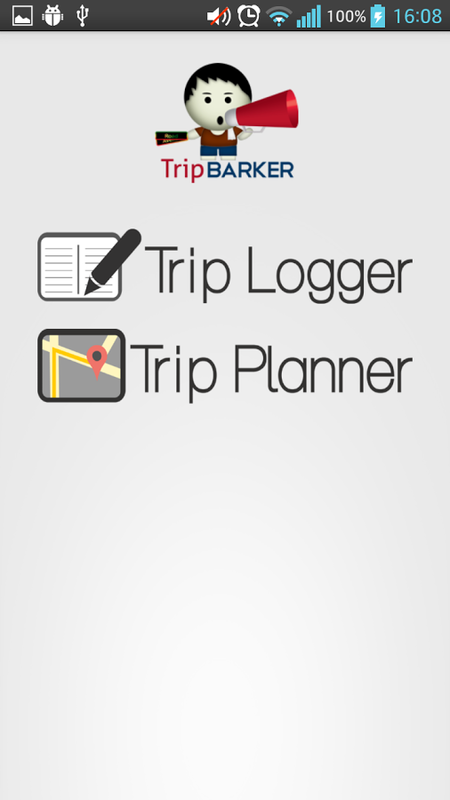 Trip Logger – Help make Trip Barker better by telling us about your daily commute. Log the distance and routes that you travel and help improve the Trip Barker system! Points of Interest – Search for establishments or points of interest along your route. For example clicking on “restaurants” will display restaurants that you will be passing by during your commute. Weather Updates – Check out the current weather conditions along your route and avoid potentially flooded streets. Incident Reporting – Report traffic, floods, accidents or other incidents and help the rest of the Trip Barker community. You can also post events and new points of interest. Tagged android app philippines, android philippines, commute philippines app, commuter app android, gtfs android, mass transit android, philippine transit app, transit philippines app, transit planner android, trip barker android app. Bookmark the permalink.